A couple of weeks ago my director took us our for a team lunch which of course you know I'm happy about. 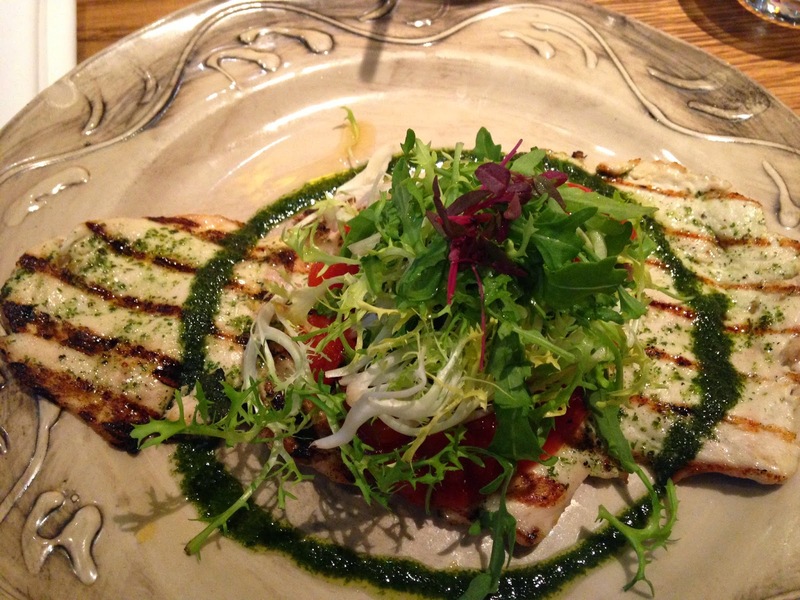 I work near Holborn so we decided to go to Hush Brasserie, which I have actually been to before but I always love the food there. It's one of those places that you wouldn't immediately think to go to, it's not a massive chain and I have in the past, completely walked past it. However if you do walk past one in Holborn or St. Pauls then you must stop in, even if it's just for some nibbles and cocktails. They have a massive wine list, but because it was a work lunch I opted for the Chardonnay and Peach Spritzer, well actually I had two of them because they were just so delicious. 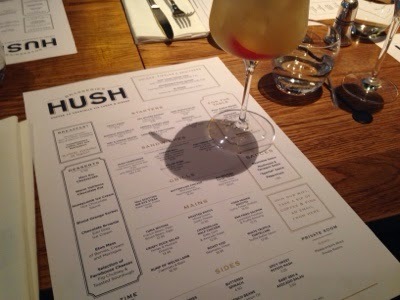 I find that the prices at Hush are fairly reasonable for their spritzers at £4.95 a glass. For my lunch, I decided to go for the butterfly chicken, which has a red pepper relish and topped with rocket, with spicy sweet potato mash for a side dish. The butterfly chicken is literally just that, so I would recommend ordering a side dish. They also have fries made with truffle oil and Parmesan cheese which are bloody gorgeous. Admittedly, the butterfly chicken was spread quite thinly, but it was delicious, the red pepper relish was the real winner though. I love peppers and this relish had a really nice tang to it, as well as being a little sweet. 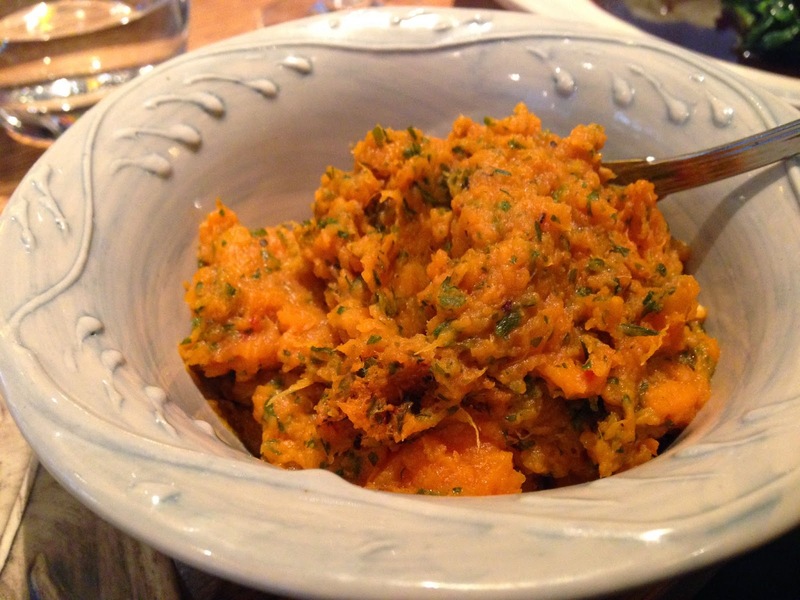 Moving onto the spicy sweet potato mash, I must admit I never used to be a fan of sweet potato. But when I tried the fries I fell in love so it's kind of opened my eyes a little more. Plus I've adopted a healthier lifestyle which means white potato is something I never reach for now so this is a great alternative. I really loved the mash, it was a perfect side dish to the chicken and the pepper relish. I liked that the mash wasn't too spicy but it had a bit of a kick. I didn't eat it all, it was quite a hearty portion. The pesto worked quite well with the meal too. Overall I think my meal came to around £29 which I don't think is a bad price because the quality of the food is really great. My colleagues had various different things, from steak, to salmon to lobster roll, truffle mash, a really great range of food. Have you been to Hush Brasserie? The food sounds lovely, I really love sweet potato mash, and the red pepper relish must have been amazing! The food looks so delicious! Amazing photos. oh that food looks heavenly! ps. win some amazing USA beauty goodies from lorac, tarte etc on my blog! click here. That chicken looks so good, and it seems a good price for London!